As an experienced Sheet Metal Mechanic operating in the aerospace industry, finding lucrative and rewarding long-term work isn’t always easy. We at STS AeroStaff Services recognize this fact, and that’s why we’re very excited to announce that a special recruiting event is being held by a major business jet manufacturer (also a client of STS’) with offices in Greensboro, North Carolina. This is an incredible opportunity for Aviation Sheet Metal Mechanics to put their skills to the test and become a part of an amazing team that is revolutionizing the business jet industry. If you are interested in participating in this event, you must contact an STS AeroStaff Services’ Recruiter by calling 1-800-359-4787. Once reached, our team will be more than happy to work with you in an effort to ensure that you’re properly registered for the event while answering any additional questions that you might have. 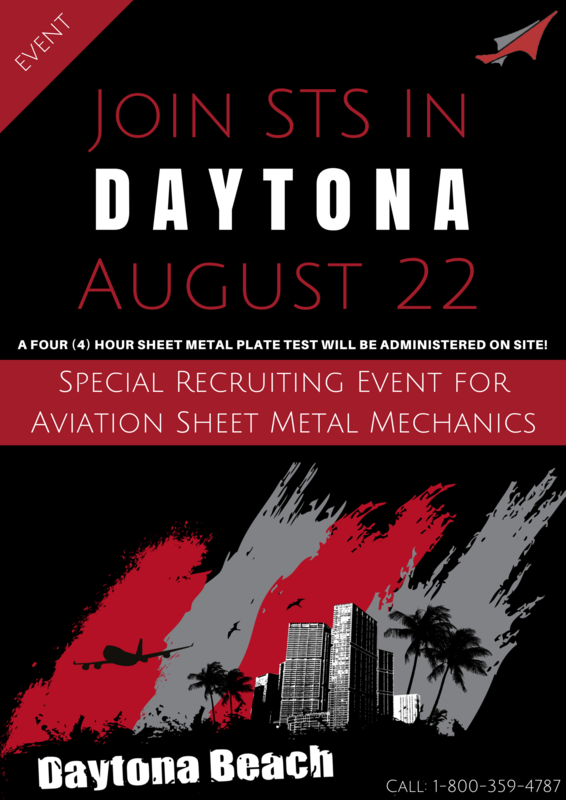 Again, if you’re an experienced Aviation Sheet Metal Mechanic looking for an amazing career opportunity, this is one event you won’t want to miss! Give us a call today to learn more, or click the link below now to directly email STS’ staffing department with questions. Thank you so much for taking the time, and we look forward to hearing from you soon. * Gift cards and bonuses will not be distributed on-site. Instead, they will be awarded to successful hires shortly after showing up for work in Greensboro, North Carolina.